BIMsmith Forge – a free design platform for architects and designers – allows building design professionals to form complete wall assemblies by accessing hundreds of standalone products. Accurate outputs are provided for each custom wall assembly, including three-part specifications and cut sheets. Building components created on BIMsmith Forge can be inserted into other design platforms such as Autodesk Revit. Alucobond is specified by architects and designers as high-tech metal cladding for office buildings, hospitals, educational facilities, convention centers, airports and hotels and is utilized to create custom design elements such as entrances, canopies, column covers and interiors as well as corporate identity structures and signage. 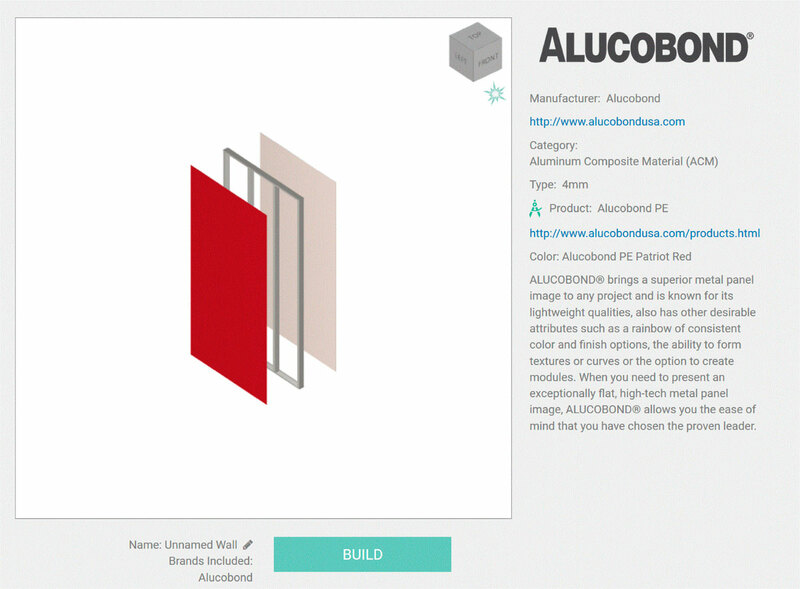 Alucobond consists of two sheets of 0.020” aluminum thermobonded to a polyethylene core and is manufactured in the standard 4mm thickness. Alucobond provides extraordinary flatness and rigidity, excellent formability, low weight and outstanding weather resistance. BIMsmith Forge allows users to save design combinations for later use and to easily modify designs following review and analyses by entire architectural design and construction teams. The BIMsmith cloud-based platform is free for architects, designers and other industry professionals. It allows users to virtually build wall, ceiling and floor systems, creating customized files for download.